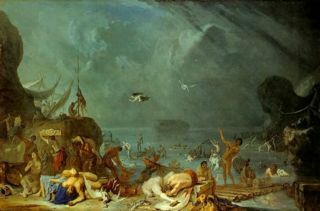 The myths of severe floods, although originating from vastly differing civilizations, share unbelievable similarities. Suppose that these floods took place exactly as per the stories tell us, what warning should we heed from these catastrophes? What message could be hidden within these ancient stories? Could these stories be globally coincidental? Or is there a lesson to be learnt? 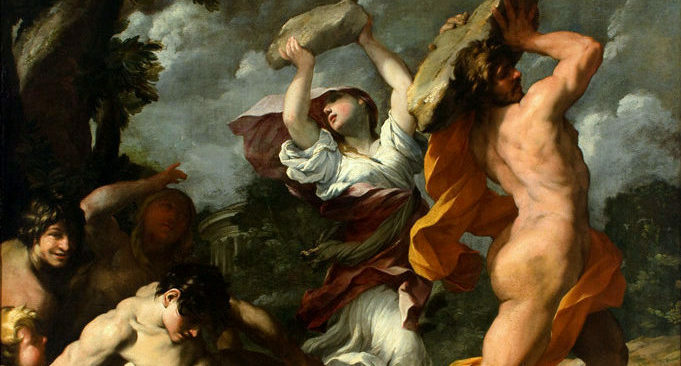 Greek mythology tells us of a cataclysm that destroyed most of humanity, sparing the few that managed to flee and seek refuge on the mountain top. One of those spared was said to be Megarus, the son of Zeus. Another was Cerambus, that was saved by River Goddesses by putting him on her wings. 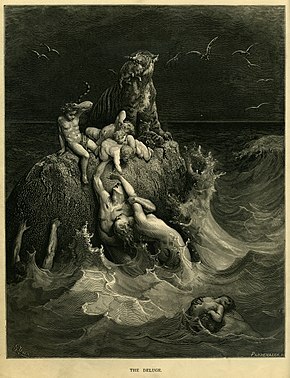 However, the main account of the flood is associated with the character Deucalion, from whom derived the flood’s commonly used name ‘The Flood of Deucalion’. The flood of Deucalion is said to have occurred at the time when Athens was under the reign of Cecrops. This was also the time of Agenor, the father of the hero Cadmus and also the father of Europa, whose name was later used to name the continent of Europe. Greek mythology refers to this period as the Bronze Age. Proceeding the time referred to as the Silver Age, when people were said to have lived far longer than today, and children were not grown up until they reached 100 years old. Earlier than that still, within Greek Mythology, was the Golden Age, which took place before Zeus took control of Mount Olympia. In the Golden Age, people did not have to work, but lived a life of pure bliss and enjoyed the brilliant springtime before they fell into an eternal sleep. 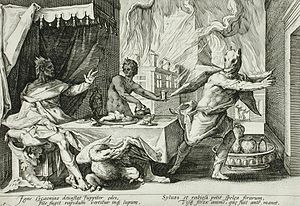 Returning to the cataclysm of Deucalion, the cause of this catastrophe is written to have been born of the fall of man into evil corruption and immoral deed. The most serious sin of man was thought to have been arrogance, and disdain for the Gods. Leading to their punishment and peril at the hands of the Gods themselves. 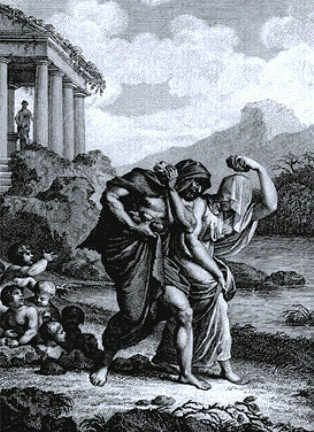 In wrath, Zeus summoned all the Gods and devastated the Earth with the Deucalion Flood, destroying all of humanity with it. He began by confining the Northern Wind of Boreas to the Aeolus cave, and releasing the Southern Wind of Notus. He entrusted Rainbow Iris with the responsibility of continuously withdrawing water back into the sky, causing the worst drought ever known to man. With all crops destroyed and humans once again at the mercy of the Gods, the rains began to pour. 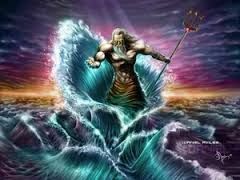 Then when the rain from the sky poured down, the Sea God Poseidon created the waves to engulf humanity. Lions, tigers, cows, and all land animals were swept away. Dolphins could swim up to the mountaintop. The birds could not find a place to land, so began to fall out of the sky. Even the lucky few who escaped the flood, could not escape the hunger. Zeus’ wrath was complete. Fortunately mankind was not all but lost, there were a meager few humans that had survived the flood. Most important of these was Deucalion; the son of Prometheus, the God who cares for human kind, and his wife Pyrrha. Deucalion was spawned of the land of Thessaly. He was known to be a true humanitarian so had been spared by Zeus in the flood. 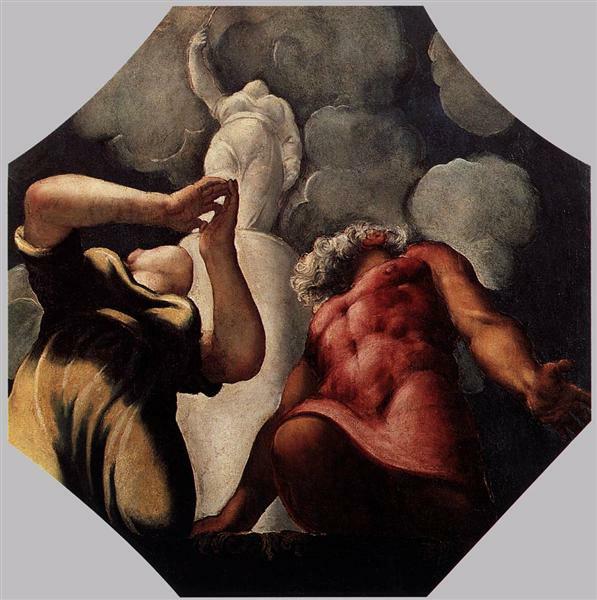 The God Prometheus, according to the word of Zeus, came down to Earth to inform his son of the terrible scourge befalling them and how to prevent their deaths. At his father’s instruction, Deucalion crafted a large, food filled ark. 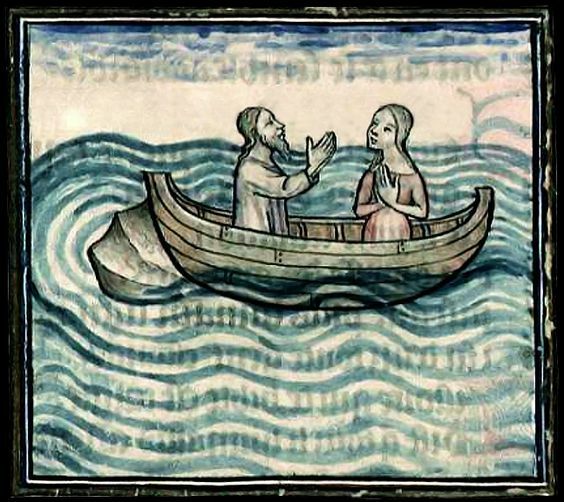 When the rains came, the water began to rise, so the couple left their home to take refuge in the ark. The ark floated on the water, and drifted for 9 days and 9 nights. By the tenth day, Deucalion’s ark had drifted to Parnassus, the only mountain not to be submerged in water. The tenth day was also when Zeus’s anger began to fade, the rain stopped, and the water drained, the ground began to appear. After the great flood, the couple stepped down off their ark and out into their new world. They were bewildered by the scene that lay before them. They soon realized the difficulty of the life that lay ahead of them, the most awful of all their hardships was to be their solitude. -Deucalion and Wife, Metamorphoses, poet Ovid. Deucalion and his family went down to the foot of the mountain and found a shrine covered with mud and thick moss. Despite the pain of their ordeal, they diligently decided to pray with bowed heads to the Gods that had helped them escape the tremendous danger. The period of the Stone Age is also referred to as the period of the divine heroes. 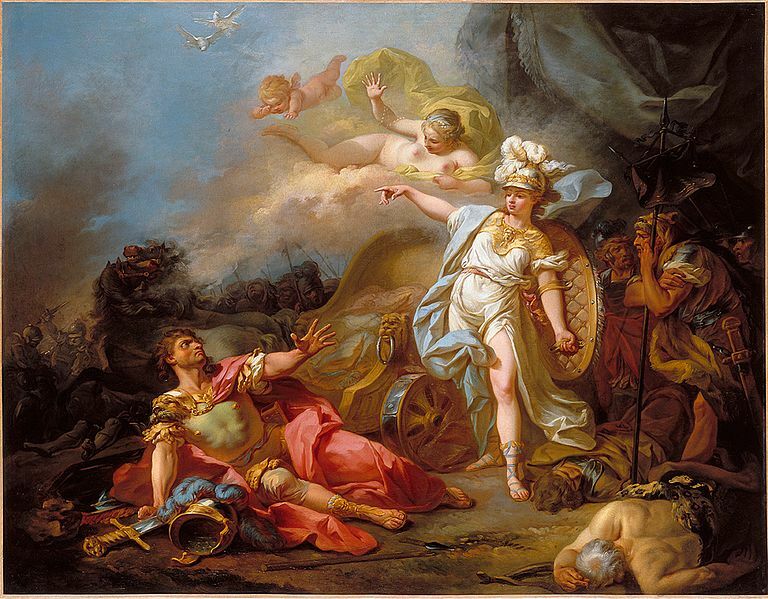 It was the age of Perseus, of Heracles, of Odysseus, of Achilles, of the mighty and tragic Trojan battle. It is the era before the time of humanity today. The Greek mythology also names the present period of humanity as the Iron Age. It is said that this is the most downfall of humanity. And when all kinds of evil happen, when the respect for the Gods is gone, almost all the Gods will leave the Earth. Mankind will be abandoned until the day of punishment, until the world is destroyed. 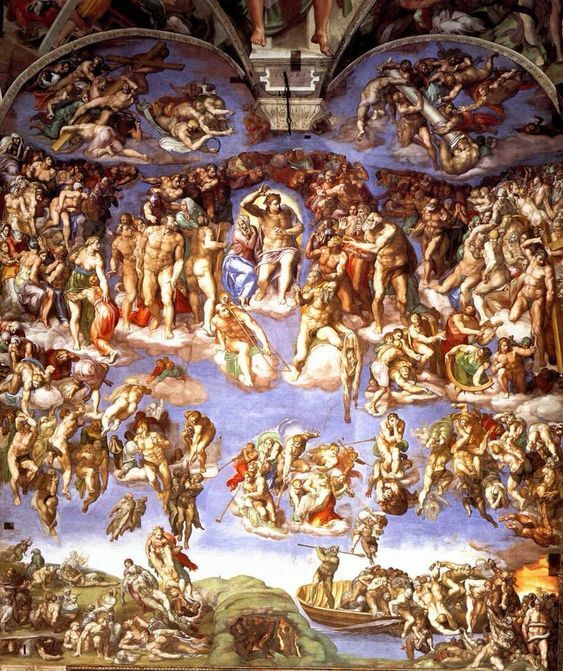 Like many other religions, such as Christianity, Buddhism, the Greek mythology offered a warning for the downfall of humanity and the endless apocalypse. 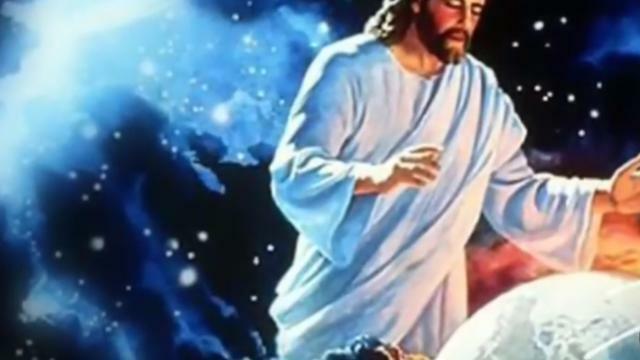 However, in ancient beliefs, there is a legend that there will be a great God who appears to save the mankind, namely, the Savior.